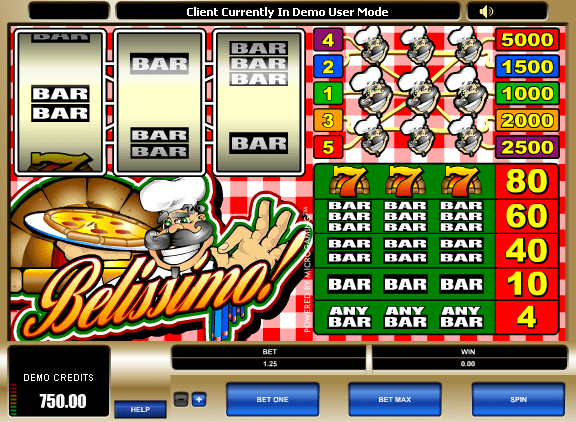 Here's another new game from the team at Microgaming with an Italian food theme ideal for those players who like some slots gaming with their Pizzas! The crazy looking chef will bring you some great treats and a whole bunch of cash prizes. For a complete list of games, view online slots at this link! Ever wondered where the online casino era started? We know all about it and we can say that you are in good hands with this one, as this Belissimo wizard online game was designed by one of the pioneers in online casino gaming. Microgaming was the first company that introduced the online casino and gave us the opportunity to play gambling games without leaving the house. 20 years have passed and now Microgaming online casinos take their well-deserved place among the most popular online casinos in the world. Pizza, pasta, lasagna, tortellini, ravioli? We all speak Italian when it comes to food, right? If there would be a world, to sum up, Italy as it is, for sure it is beautiful, the same as this slots game is titled in Italian, Bellissimo, that in free translation means beautiful. Whether you are in the amazing renaissance capital of Florence, or in the amazing lagoon of Venice, or just roaming around the historical plazas of Rome, you are going to get hungry at some point. It's best to read more from our player's guide to choosing the best slots for them! Lucky for you, our chubby Italian chef is here to help you feed your hunger with his delicious stone-baked pizza with lots of mozzarella and pepperoni. We know that a slice of pizza can fill you stomach, but it may be that it will empty your pockets when it comes to paying it, but don’t even worry, as our nice chef is here not only to give you great pizza, but also fantastic prizes. 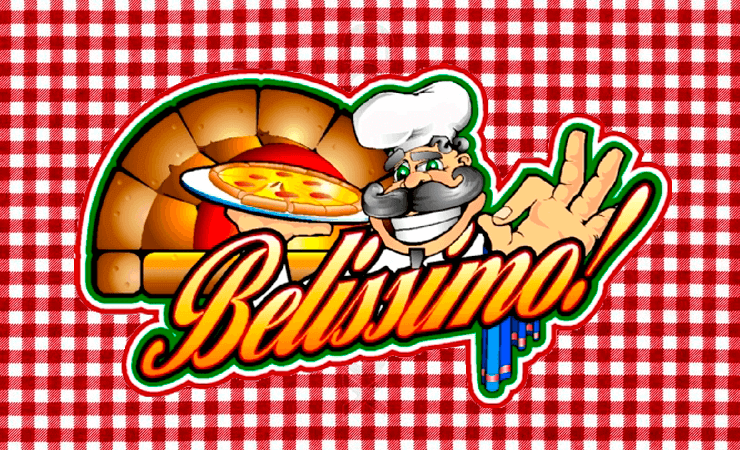 Viva Italia, viva Belissimo!, viva Microgaming game studios! Speaking about visual aspects, this game was very carefully designed, by all means, delivering mouth-watering graphics, a thing that we are more than used with when it comes to playing titles created by Microgaming digital studio. Let’s get a bit into gameplay, as this game comes with 3 multi-denominal(non-progressive) reels, 5-paylines and a wild symbol represented by the wheel of fortune, making things a bit more interesting in terms of playing. Although this game has no free spins feature, nor any scatter symbol, it still delivers vast options to gain amazing prizes. The wild in this game is represented by the chubby Italian chef, being the most noticeable character on the reels. This is not all as there is also a jackpot at stake, a mouth-watering £25,000 for you to do whatever you want with. Even if this online slots game is not the most action-packed or complex title on the market, we have still enjoyed a spin with this one and had some fun watching the delicious graphics and experiencing the Italian-themed atmosphere of this game. Just thinking about that whooping jackpot got us spinning more and more as we got closer to the whopping £25,000 reward that may end up in our pockets. We have dug deep for this one and got it all warmed up for you. We may have not won it, but we are more than sure that it is you that is going to win the huge jackpot at stake in this amazing title from Microgaming.